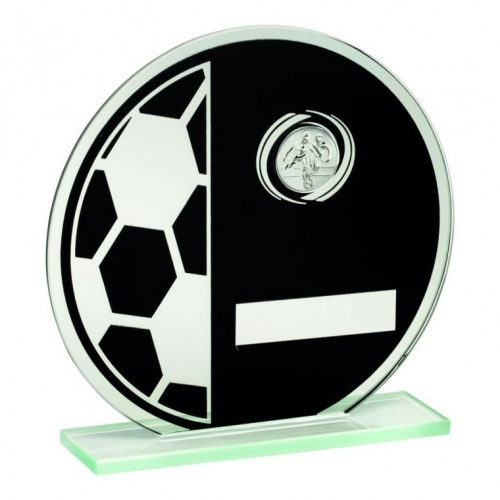 A value for money glass football plaque offered with low cost engraving. These distinctive circular plaques are made in black glass with silver trim on the front. 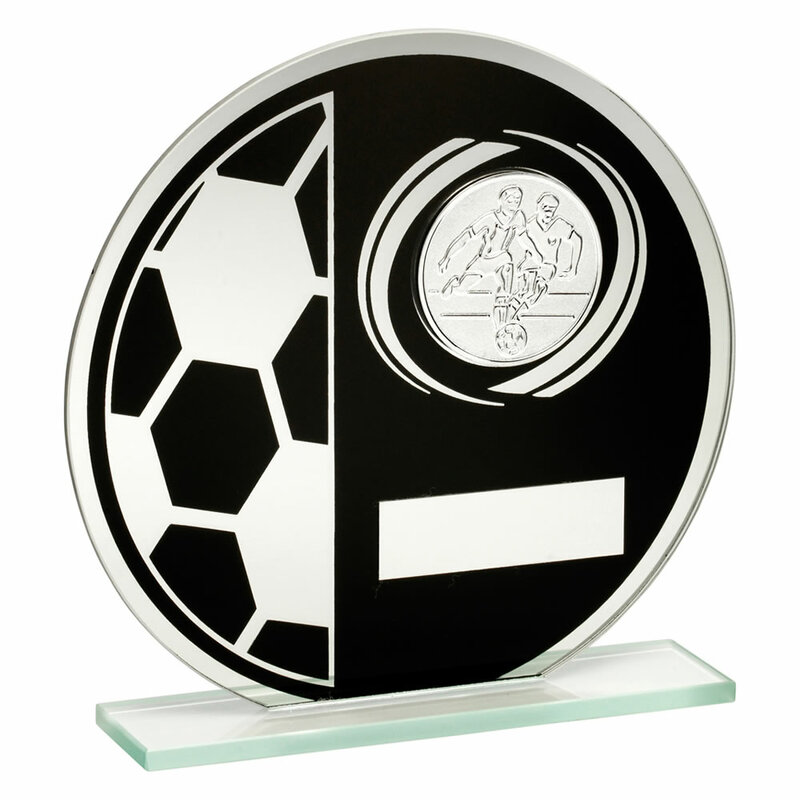 The front of the plaque has a football motif in silver finish along with an engraving plate. Available in three size options.